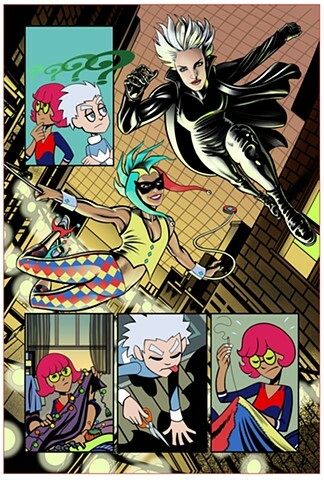 The girls imagine their superhero selves as they whip up costumes. I was asked to base them on Trinity from 'The Matrix' and Harley Quinn from Batman, but I had the Jester from early Marillion albums in mind. The alley is modelled on Brewer's Alley in downtown Denver.